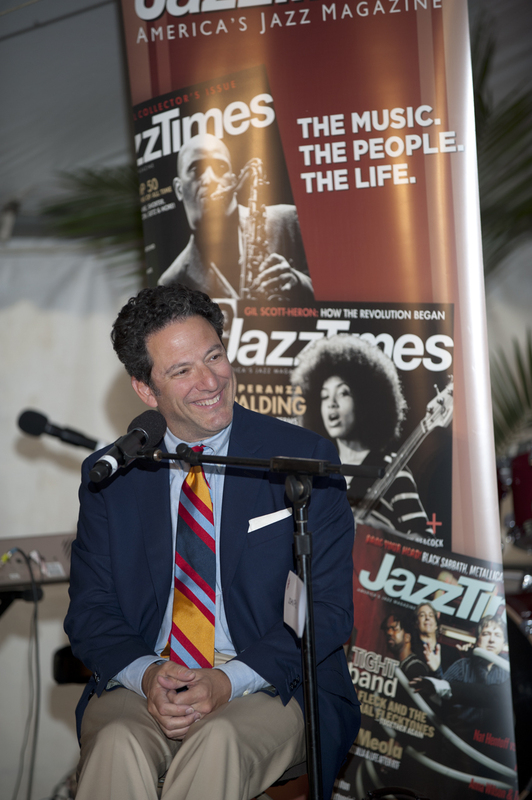 Since early 2013, pianist and broadcaster Ramsey Lewis, 79, and singer-guitarist John PizzarellI, 54, have performed together intermittently in a popular tribute to Nat King Cole. One such gig took place at the 2014 Detroit Jazz Festival, held Labor Day weekend, where they also participated in a JT-sponsored live discussion moderated by Mark Ruffin of SiriusXM Radio. Over the course of the hour, Lewis and Pizzarelli (who has long paid homage, in concert and on record, to Cole) reflected on the legacy and influence of this American icon. Ruffin:John, do you remember the first time you heard Nat Cole? Ruffin: And he’s been a big influence on your playing. Pizzarelli: Oh, yeah. The whole group. I had a drumless trio for 12 years with [pianist] Ray Kennedy, and just to try and play like Oscar Moore you get to play everything on the guitar: You get to play rhythm, you get to play chords, you get to play single-note and you accompany. Lewis: The high school I went to was a very hip high school; we listened to the radio during lunch hour. And during lunch hour they had a DJ on who played Billie Holiday, Ella Fitzgerald, Nat Cole, Count Basie and all that good stuff. Ruffin: When did you recognize Nat’s prowess as a piano player? Lewis: Well, the guy who really got my attention was Oscar Peterson. I got to meet Oscar and talk to him a few times, but then I got to the part where he was impressed by Nat King Cole’s piano playing. So now I go past Oscar to the source. That’s what you’re supposed to do in jazz: Go back and see where he got his inspiration from. That was the first time; Oscar Peterson was the conduit for me to listen to Nat Cole’s piano playing. In high school it was mainly his singing, except for the trio: In “Paper Moon” and all that stuff, the piano playing is there. Ruffin: John, do you know how [your father, guitar great Bucky Pizzarelli] got to play with Nat?